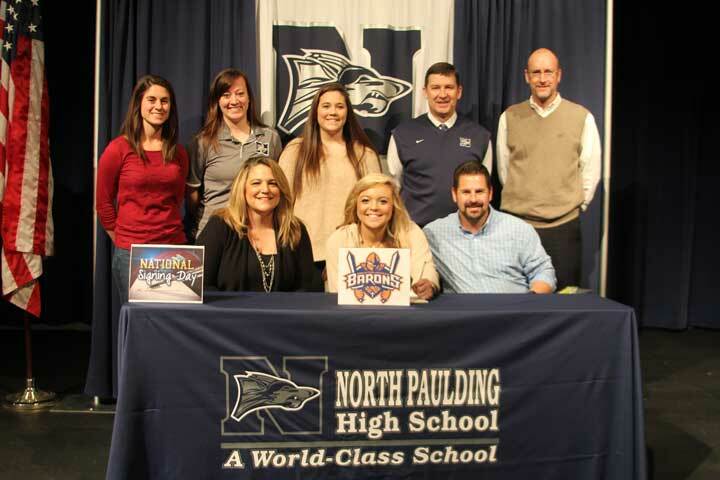 At her signing ceremony for Brewton-Parker College, Chelsea Casteel is joined by her parents, sister, Coach Fenton, Coach Kutney, Greg Cherry (Athletic Director), and Mark Crowe (Principal). Chelsey Casteel was named Athlete of the Week by Neighbor Newspapers. Read the article in the Monday, March 7, 2016 Paulding Neighbor.